For the modern urban bride, who wants to be stylish and comfortable on her special day, Biano is the place for you! Biano is a jewellery and hair accessories brand established by designer Ecaterina Cibotari. 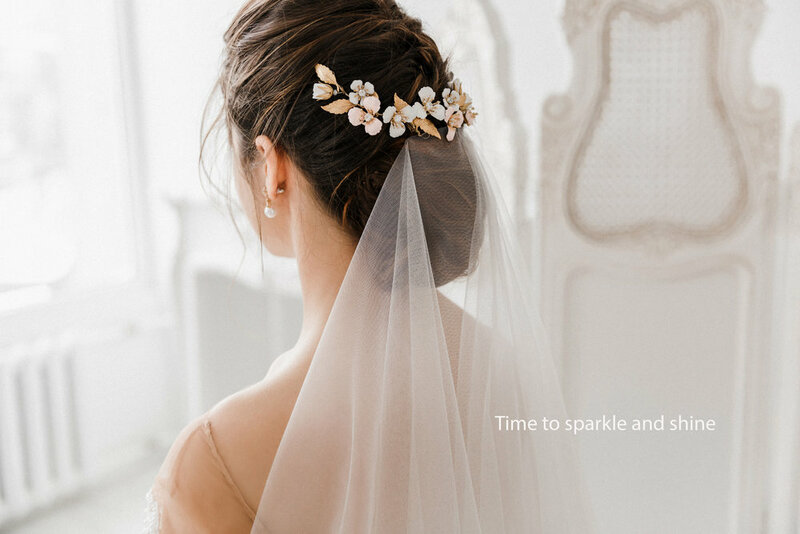 At our shop you will find stunning custom bridal flower hair accessories, couture bridal headpieces, crystal headbands, hair pins, lovely wedding hair combs, and other hair pieces such as bridal halos, diadems, crowns, etc. Biano designs include botanical elements, floral designs inspired from nature and all are handcrafted with beautiful details in Switzerland. Also, she makes a lot of custom orders! Because she is so passionate about what she is doing, every design is lovingly created, always with the thought of exceeding her client’s expectation.